Your kids will LOVE this DIY Snowman Snack Mix! 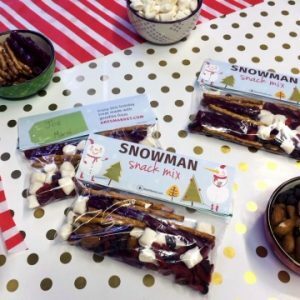 This DIY Snowman Snack Mix is an easy, healthy treat for the holidays! 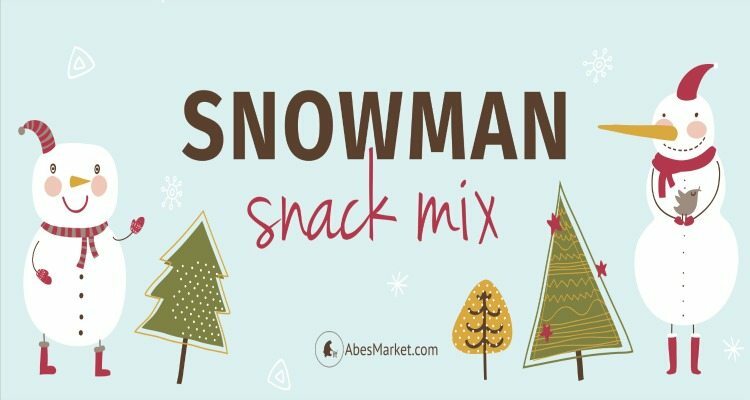 This DIY Snowman Snack Mix is vegan, which means those who are both dairy-free and egg-free will not have to worry about these food allergens. Mix up a bag of fun for the holidays – no cooking required! With just a few vegan candies and snacks, plastic baggies and a festive tag that you can download and print, you can make these cute snack bags that are perfect stocking stuffers, secret Santa bonuses or class treats! Toss a handful of each ingredient into a plastic baggie. Seal the top. Download, print, and cut out the gift label. Fold, and staple the label to the top of each sealed baggie. 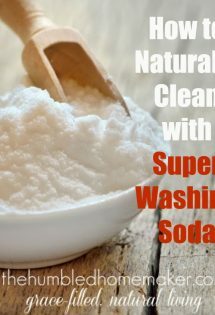 Get these ingredients at Abe’s Market with FREE shipping on all orders over $49.00! Previous Post A Non-Toy Gift for Kids? Sign Me Up!